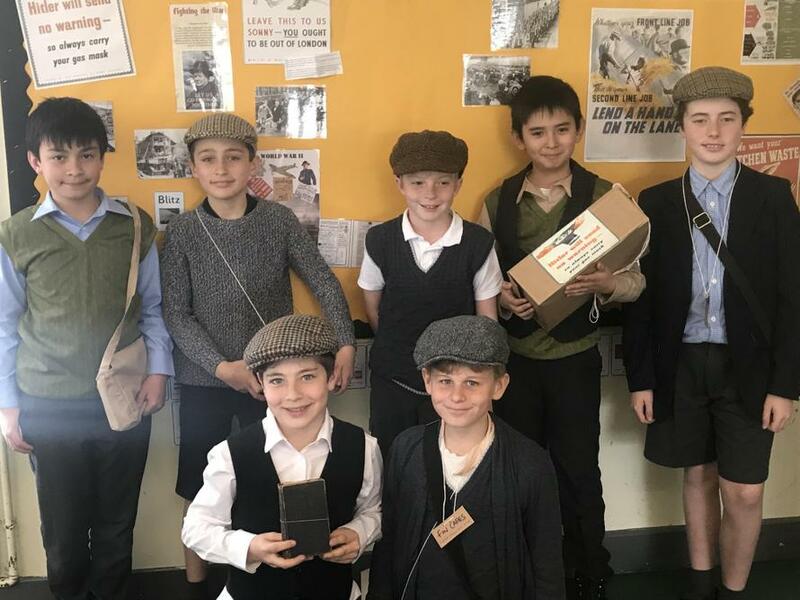 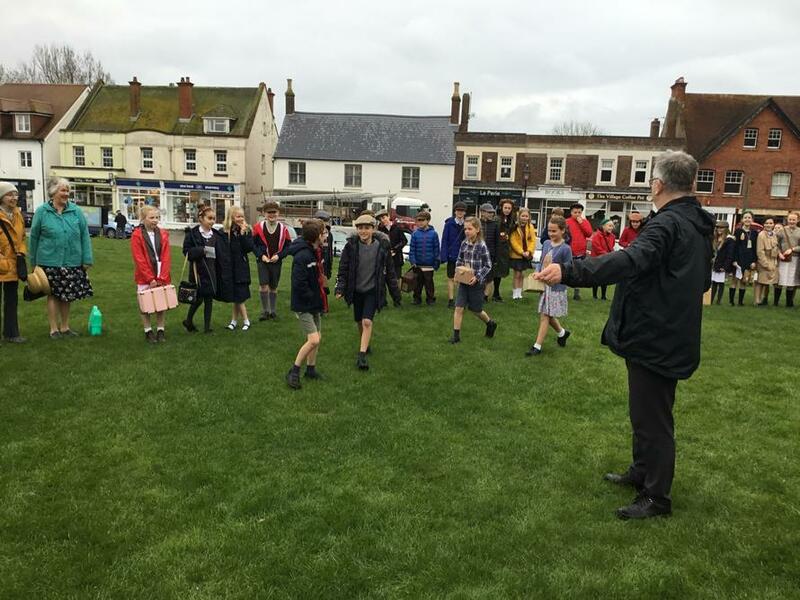 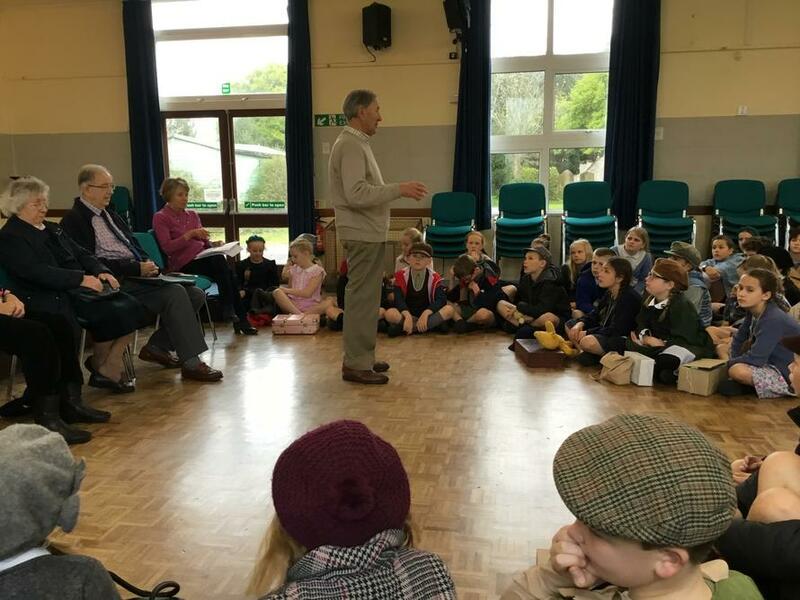 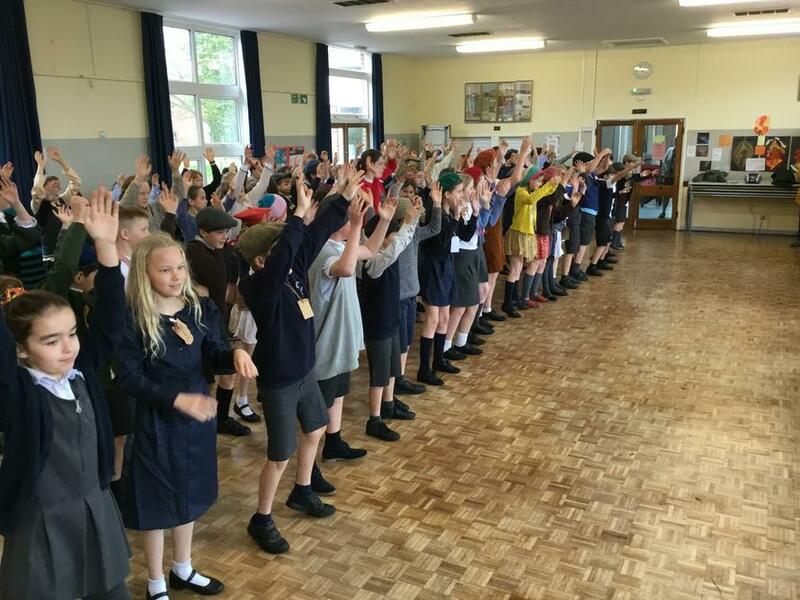 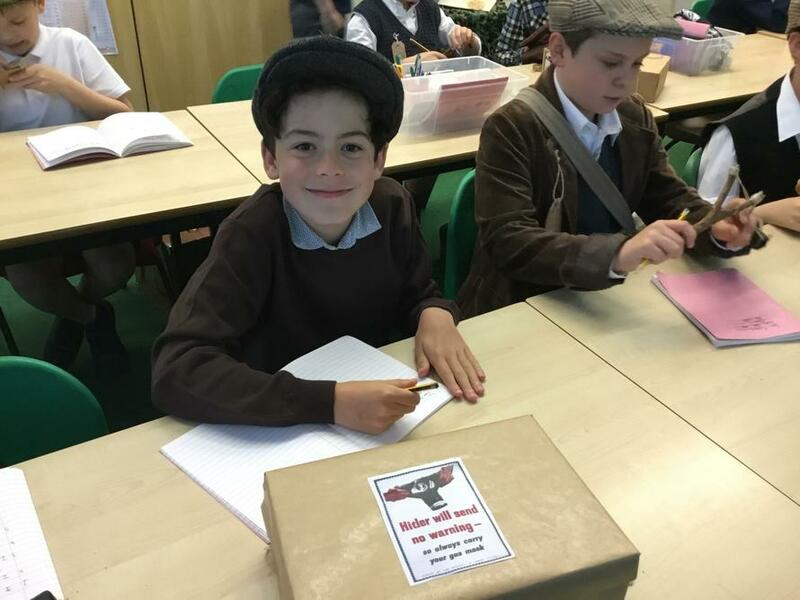 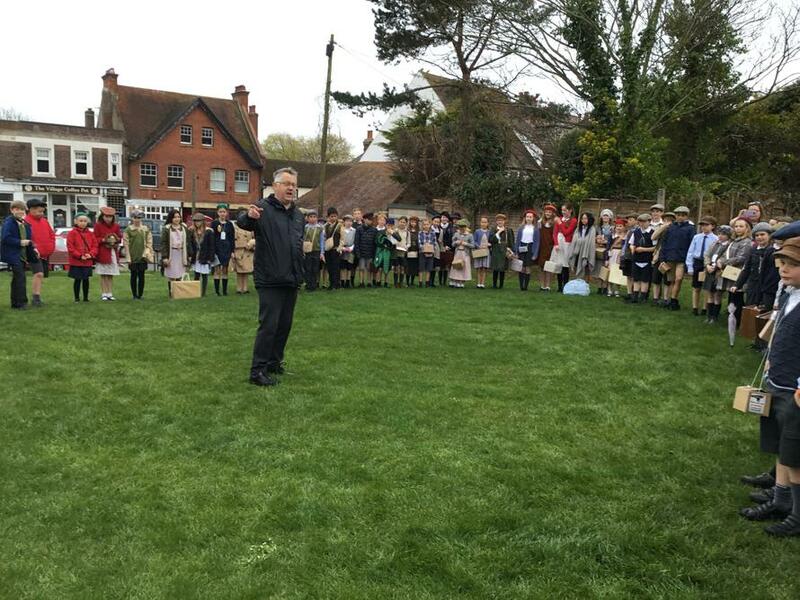 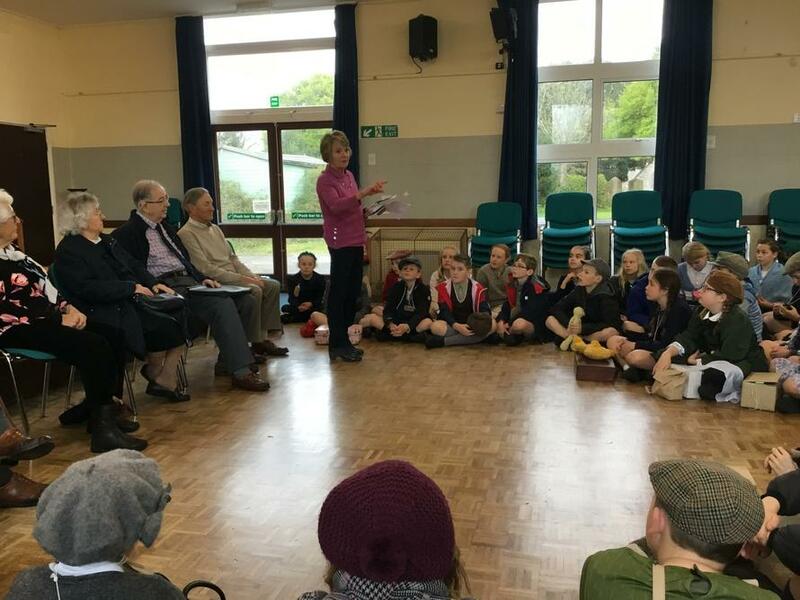 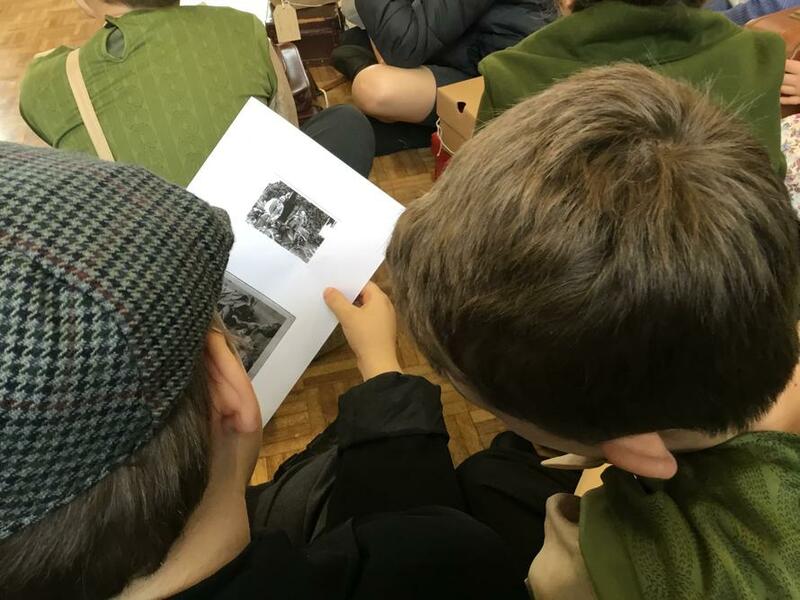 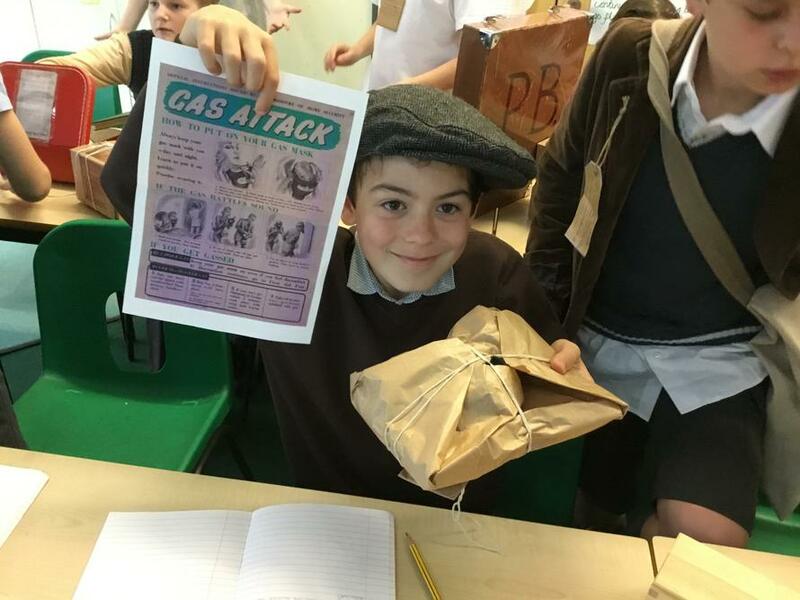 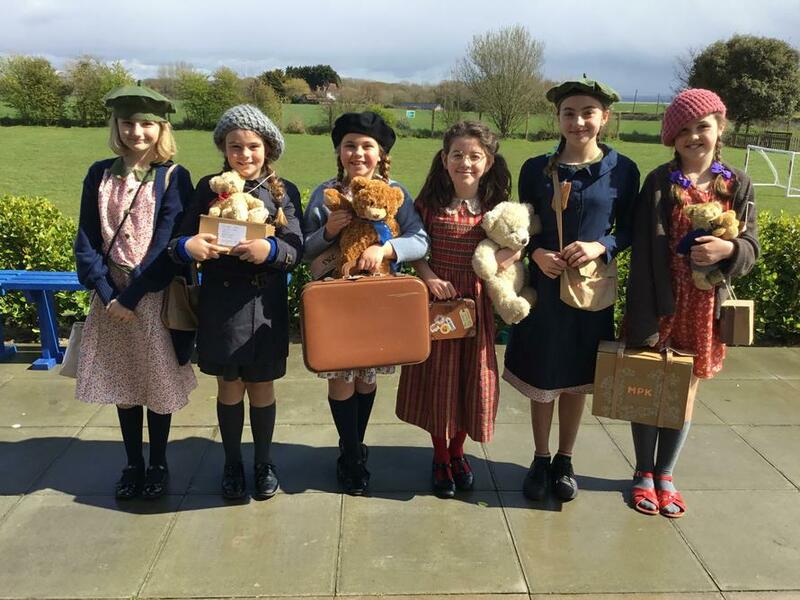 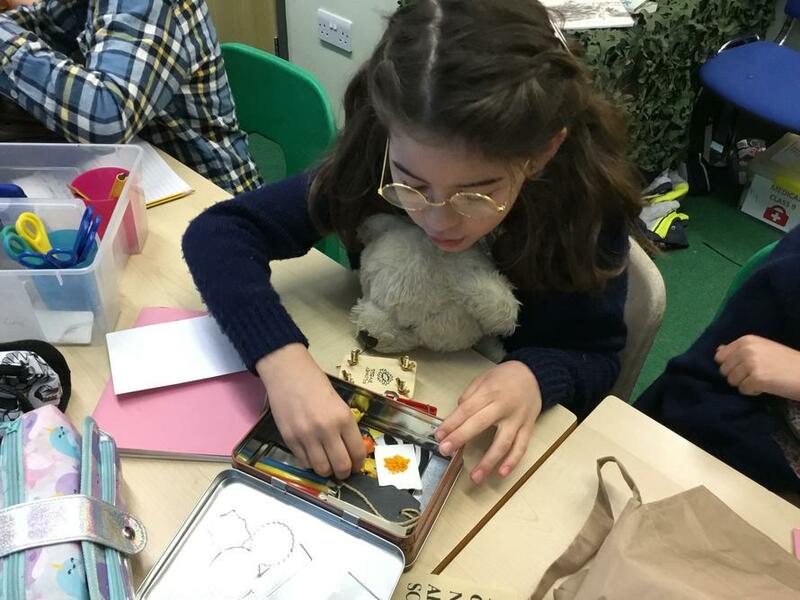 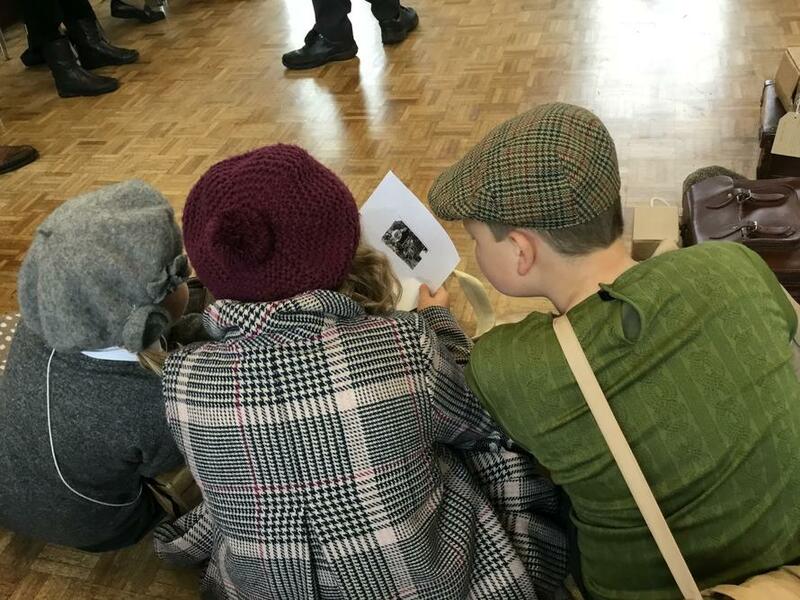 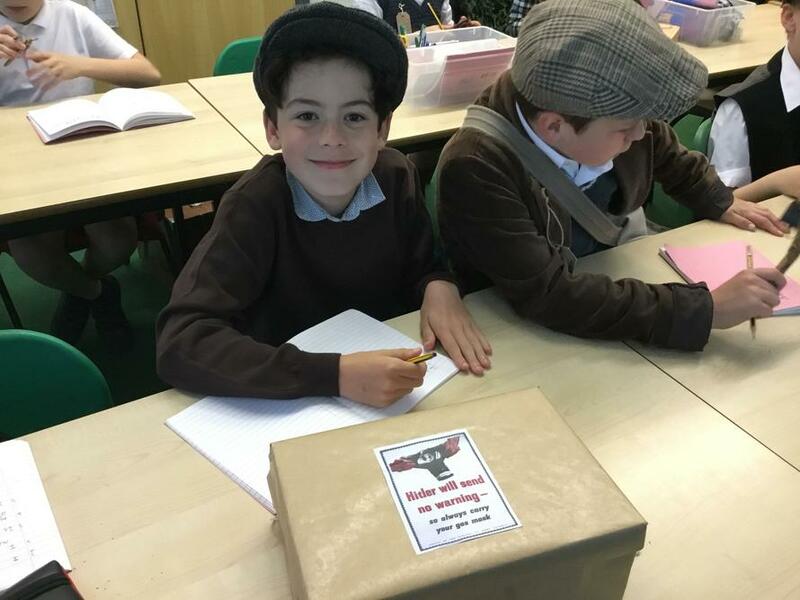 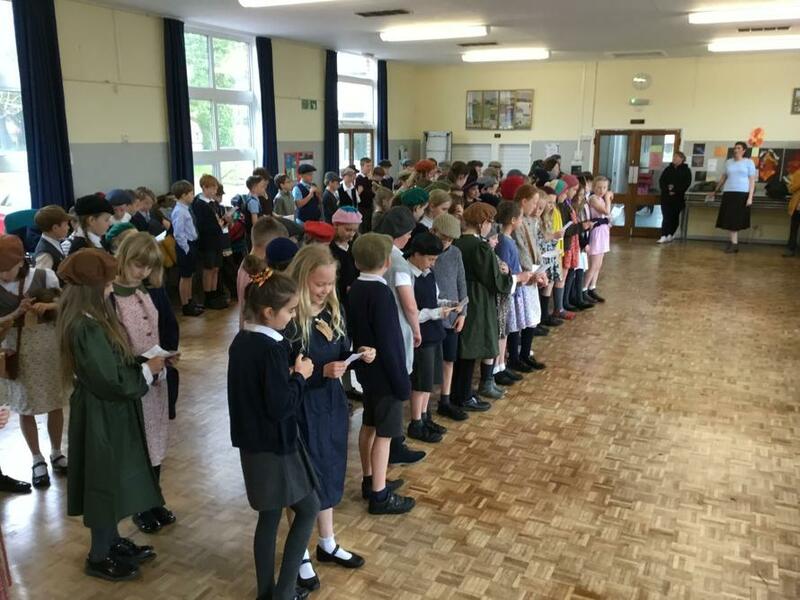 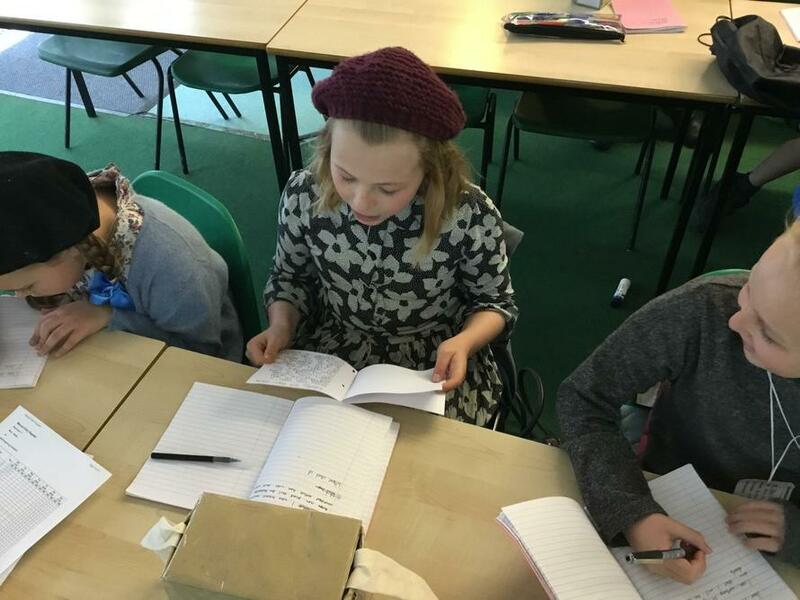 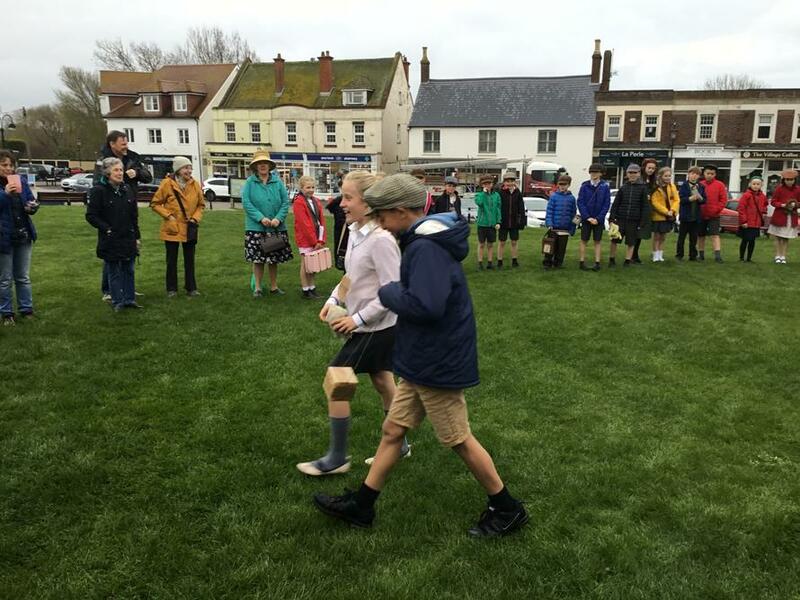 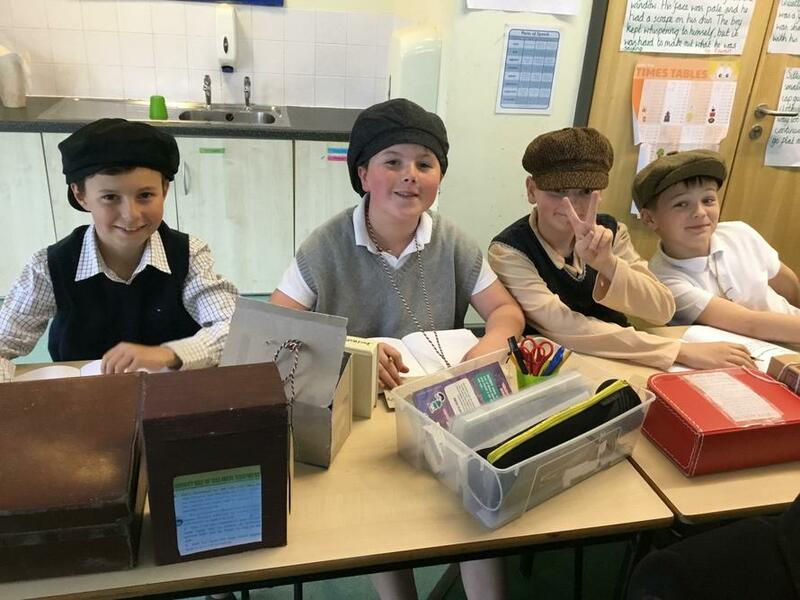 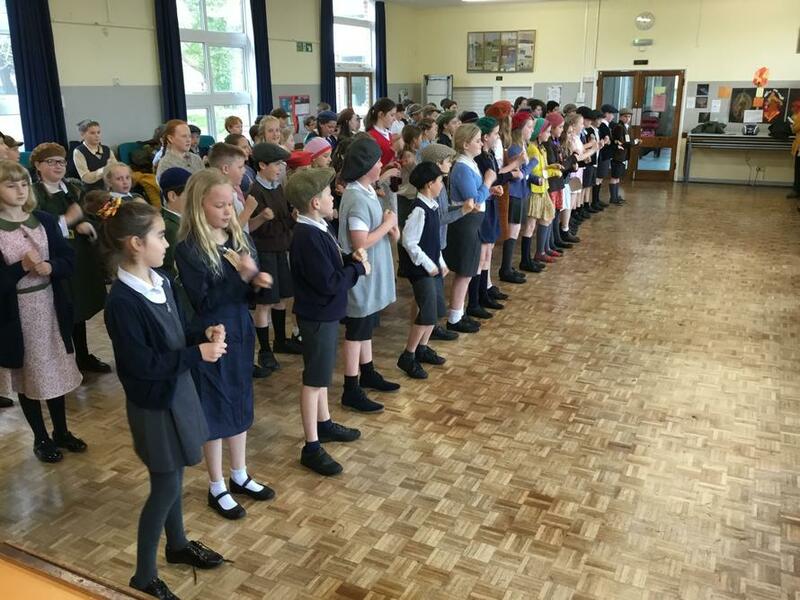 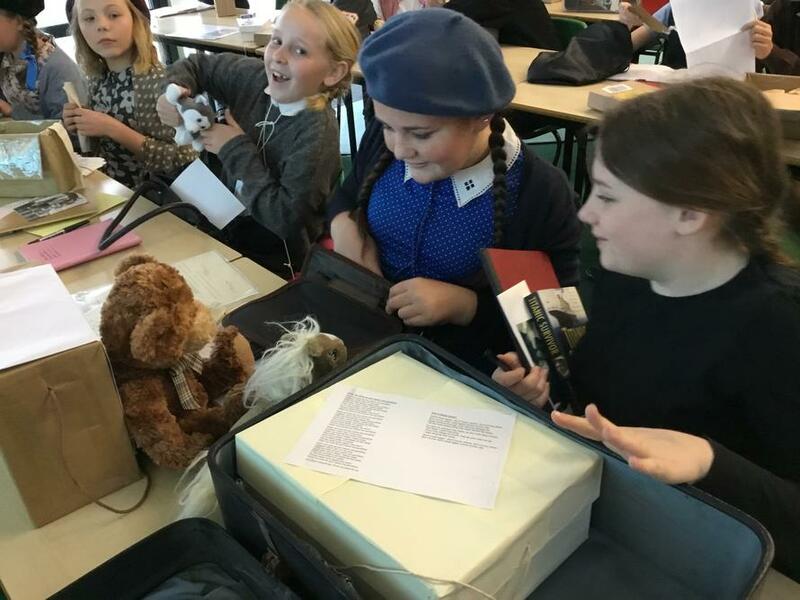 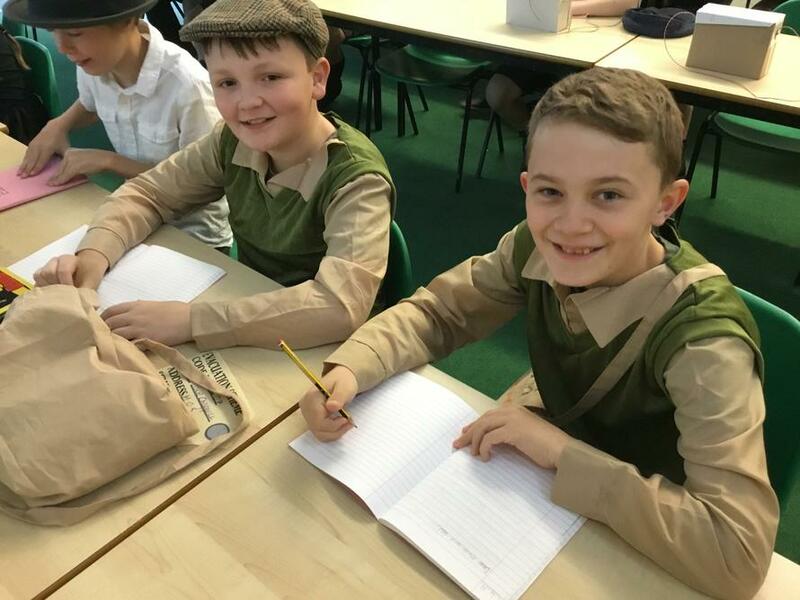 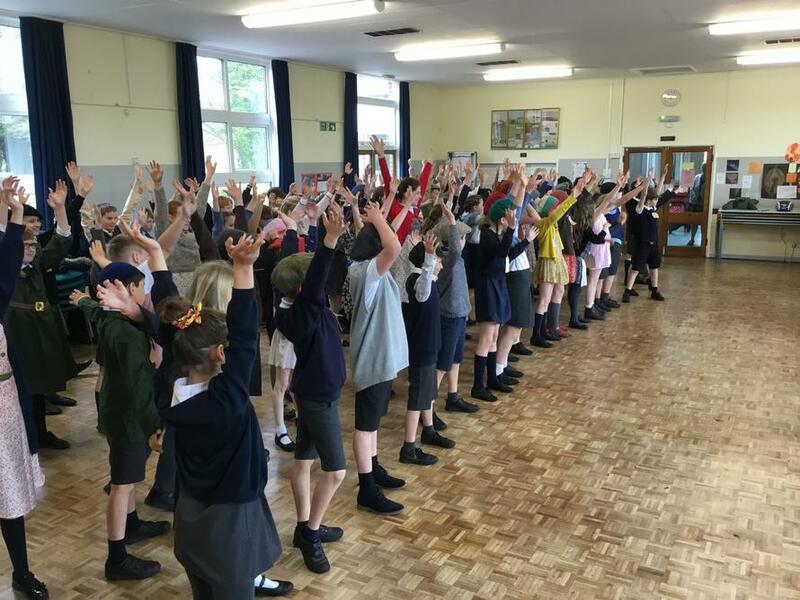 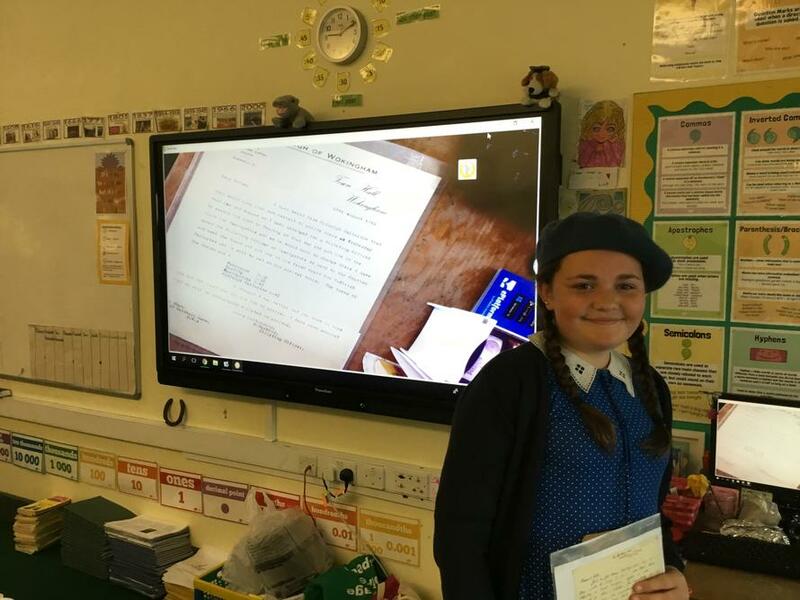 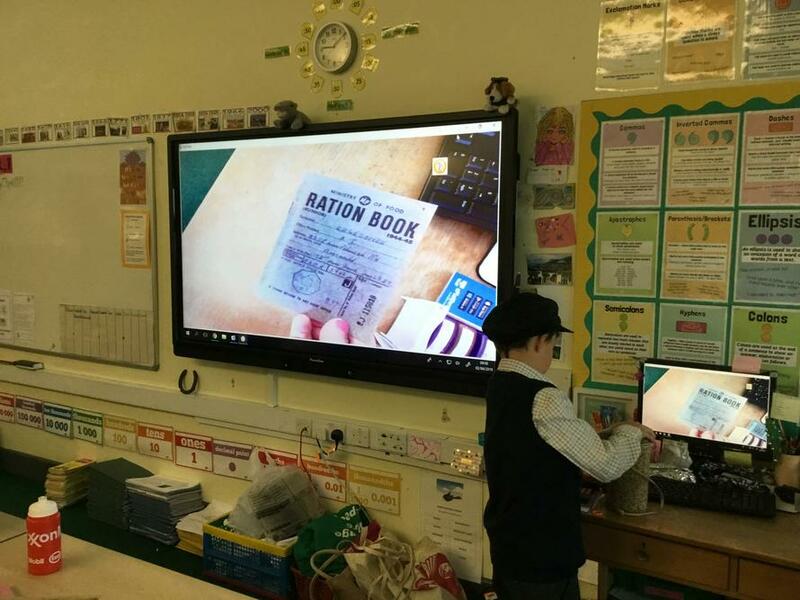 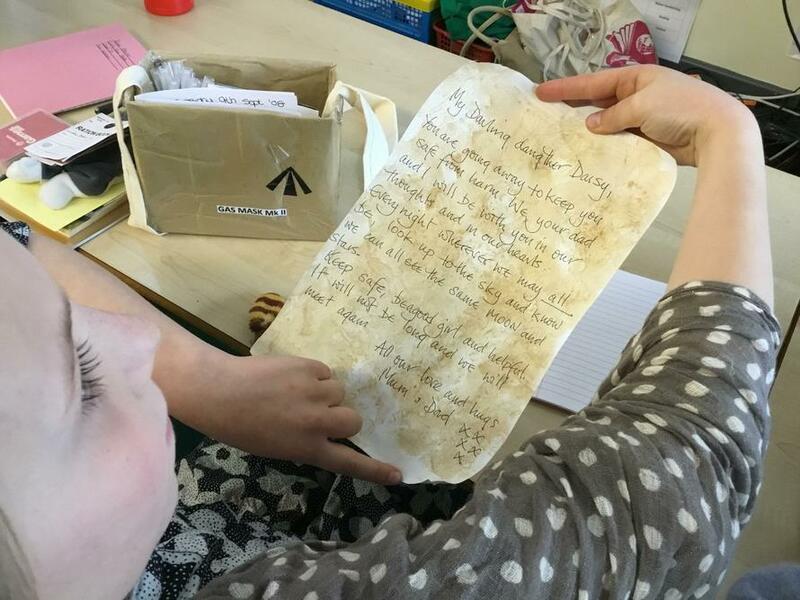 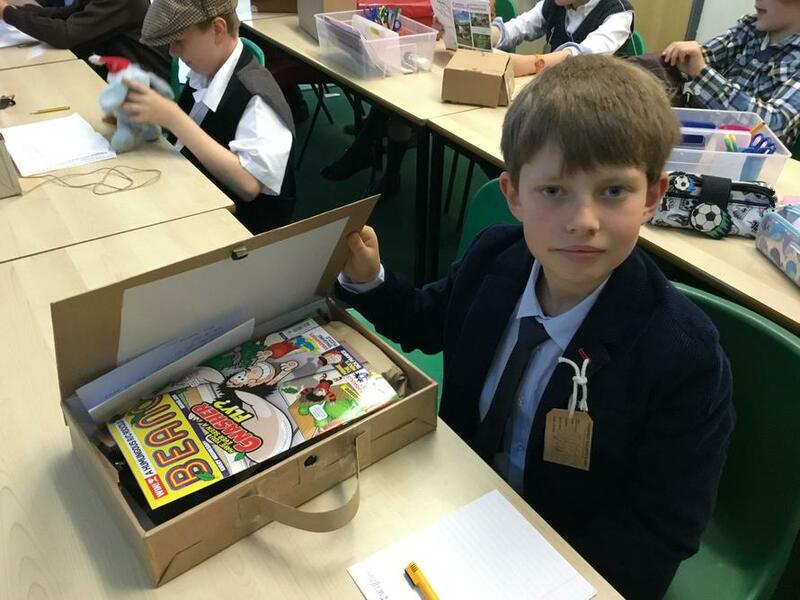 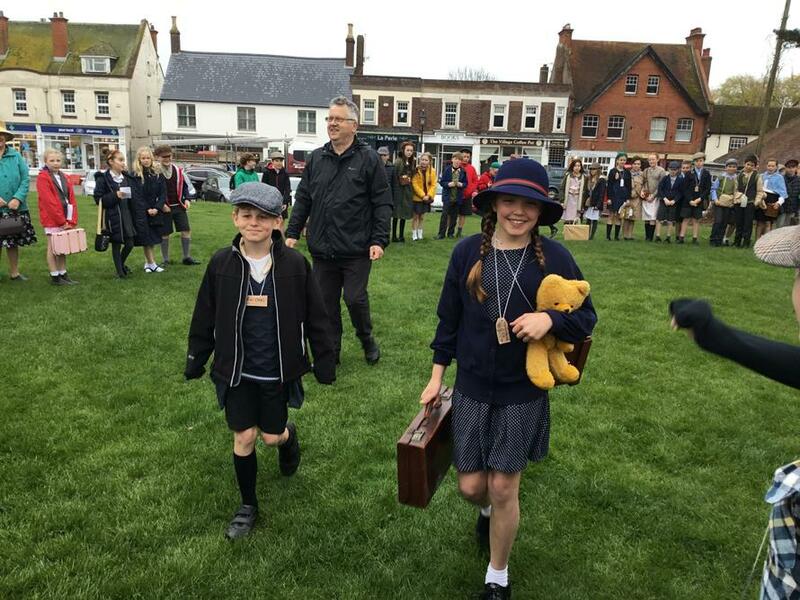 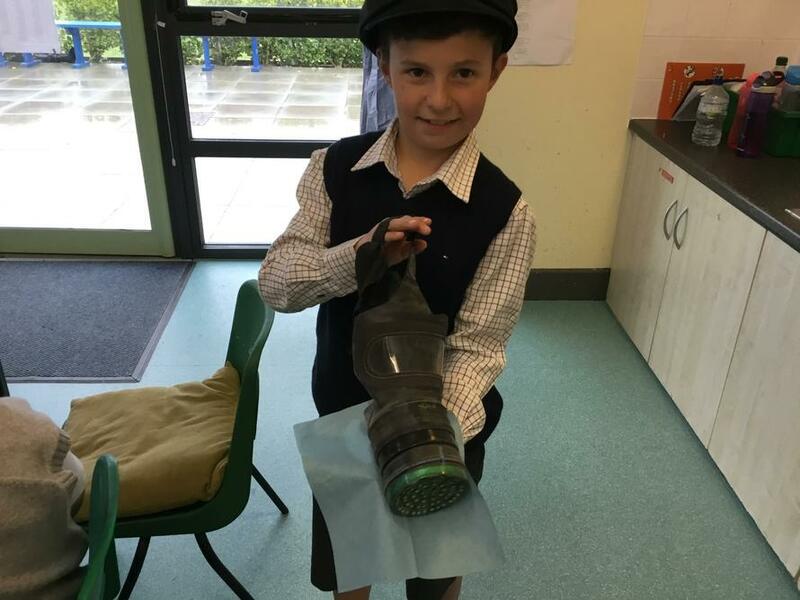 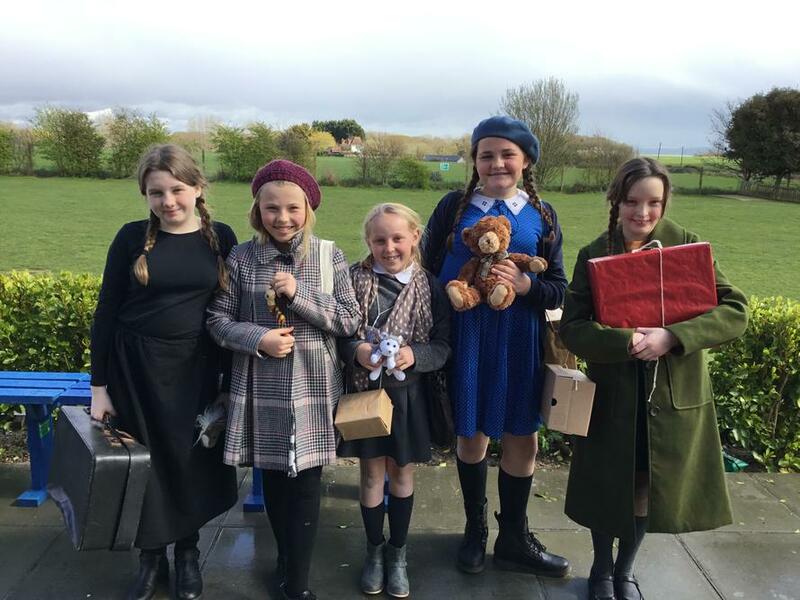 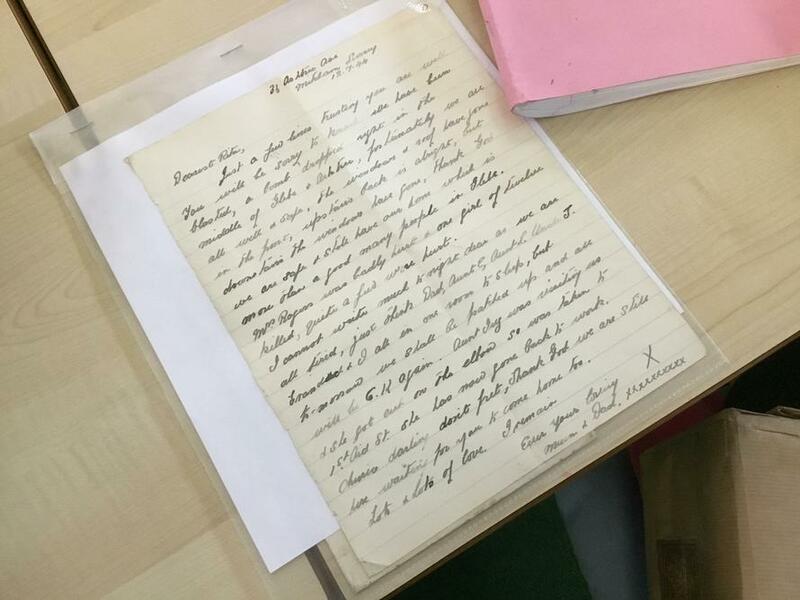 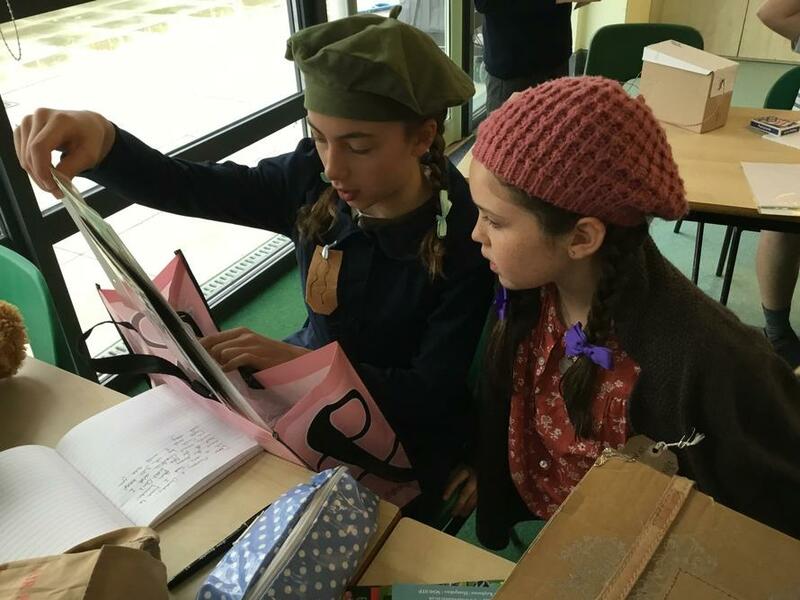 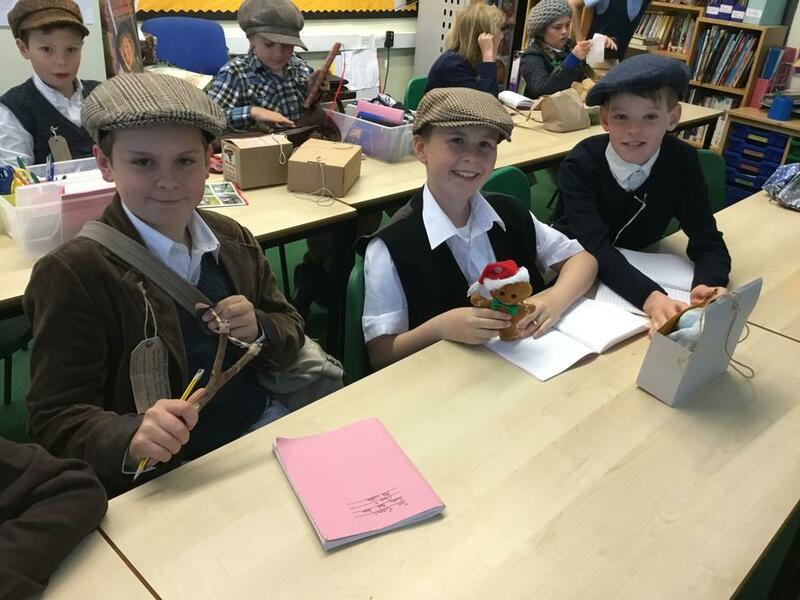 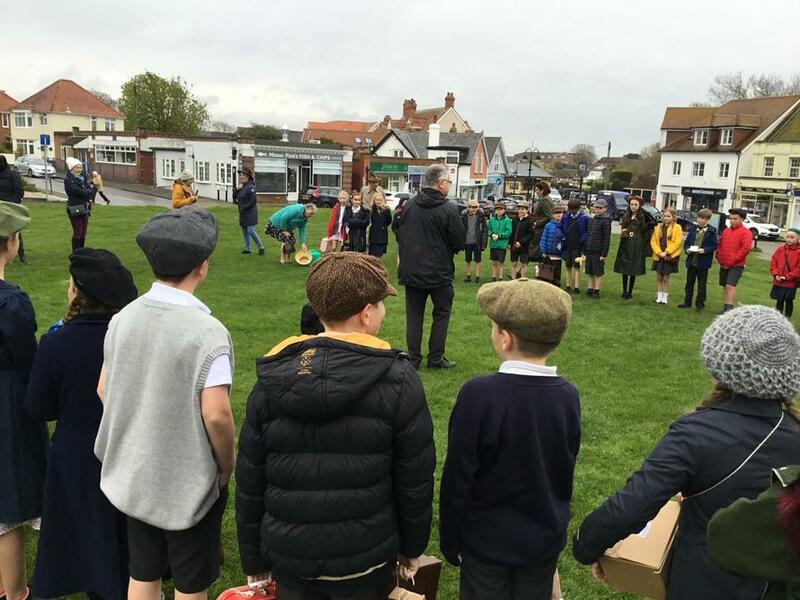 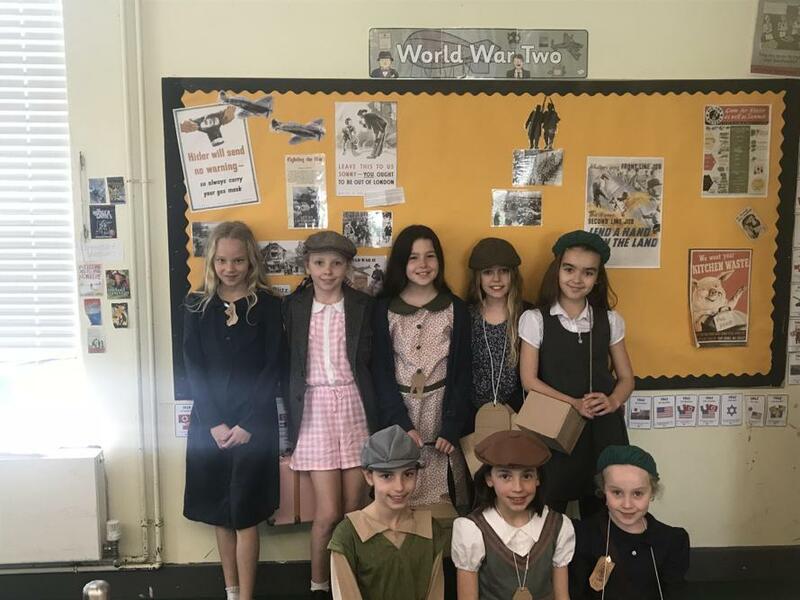 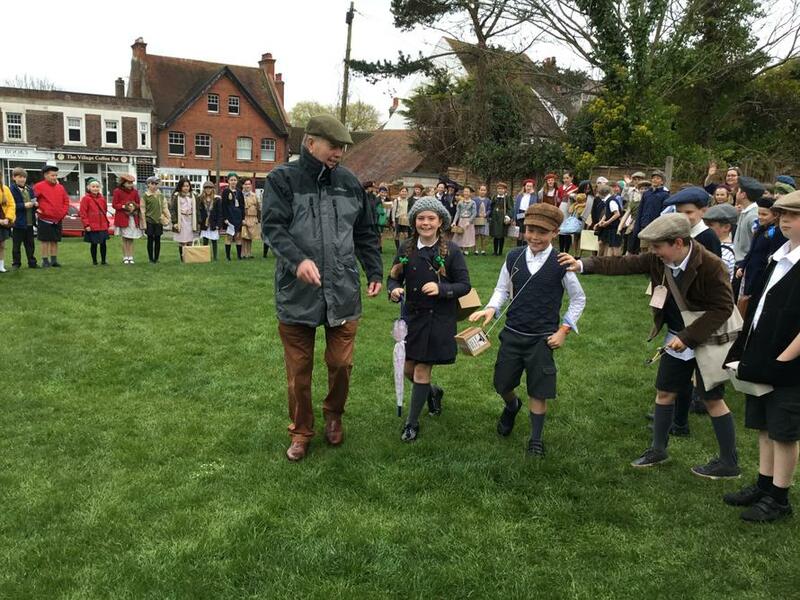 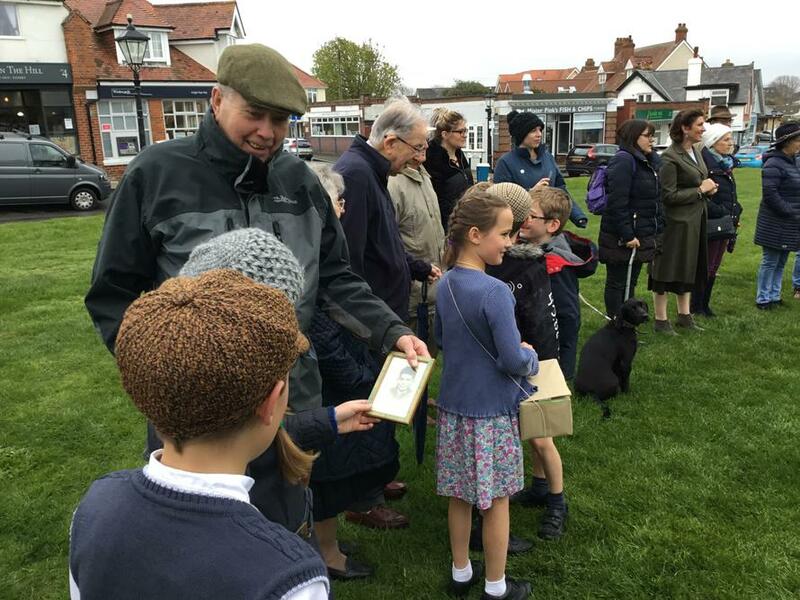 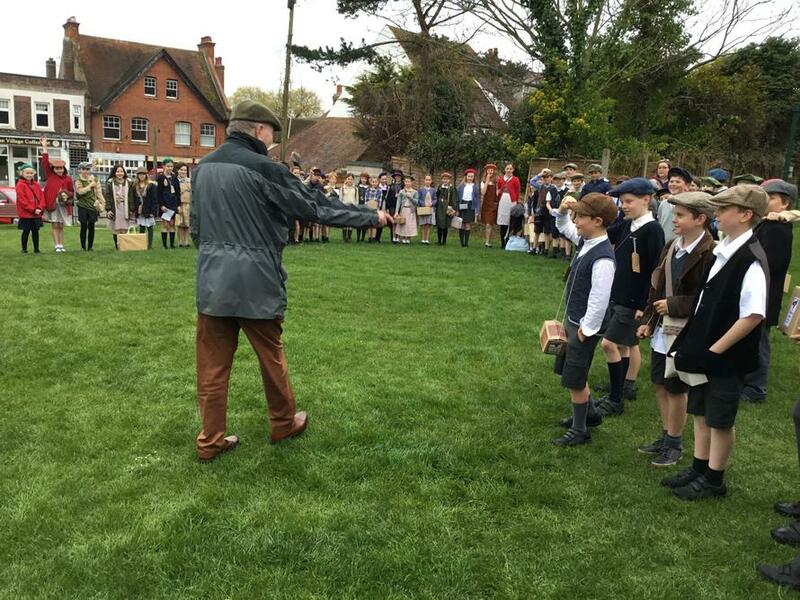 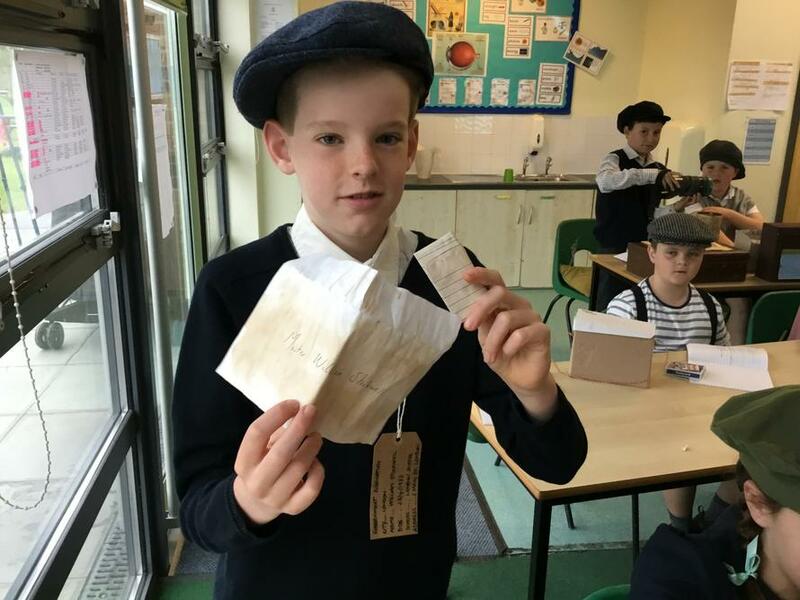 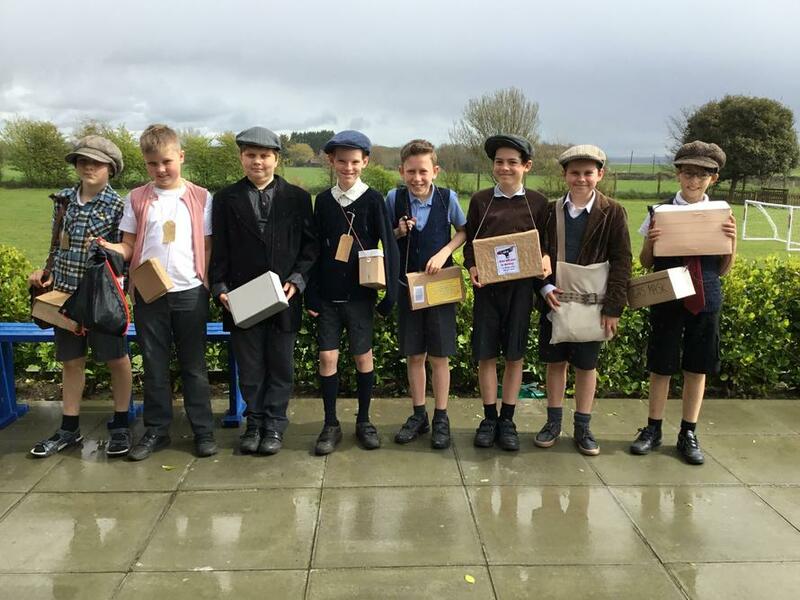 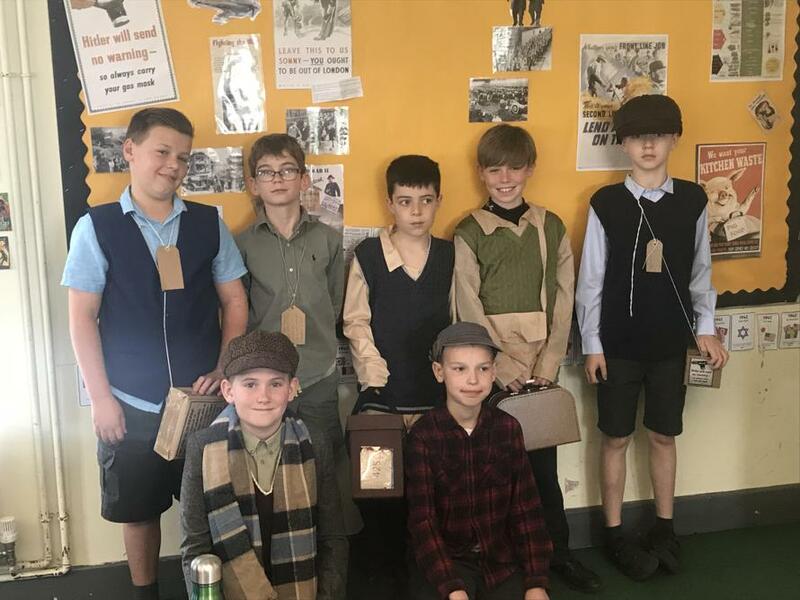 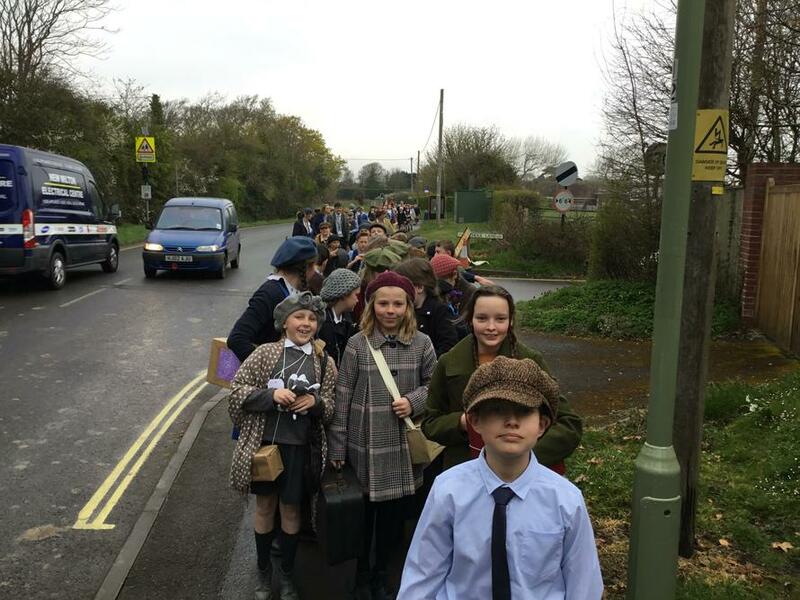 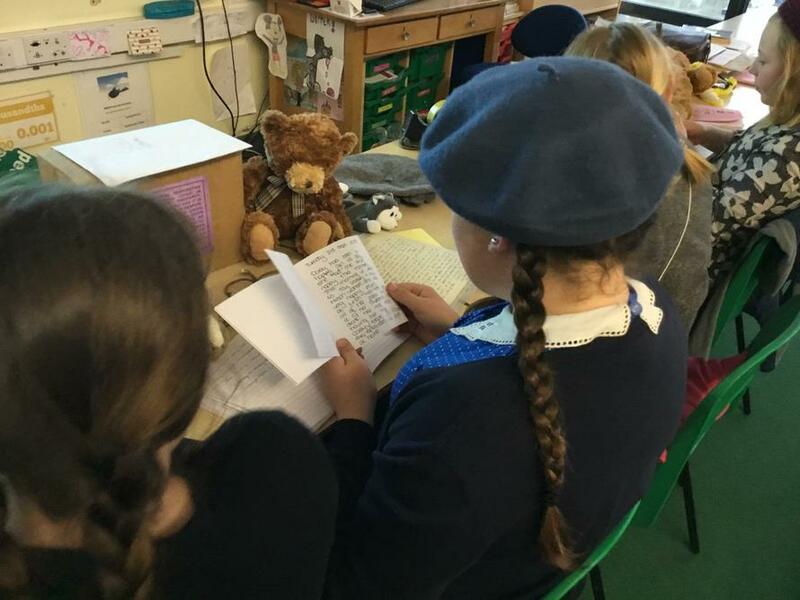 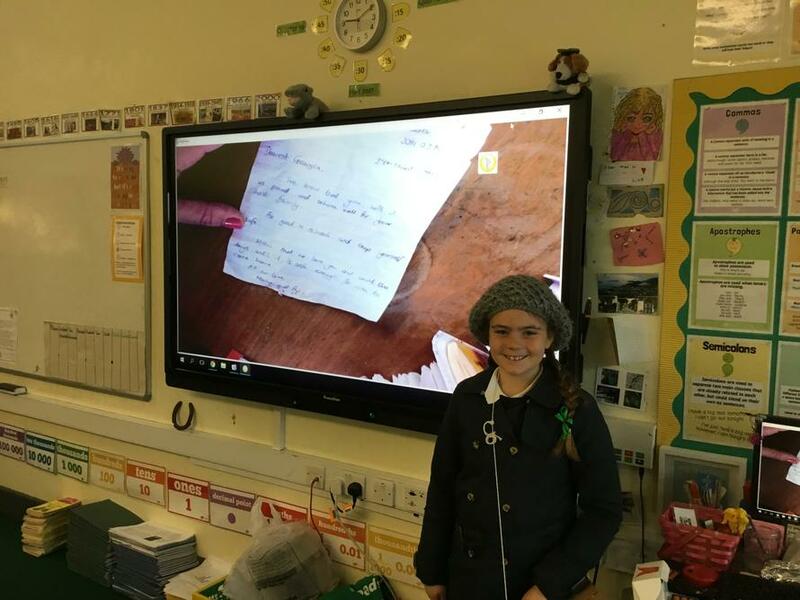 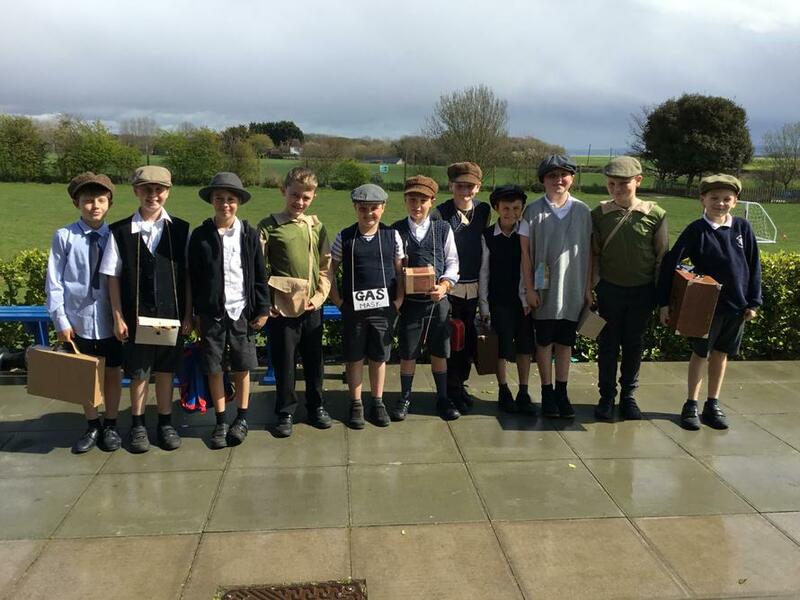 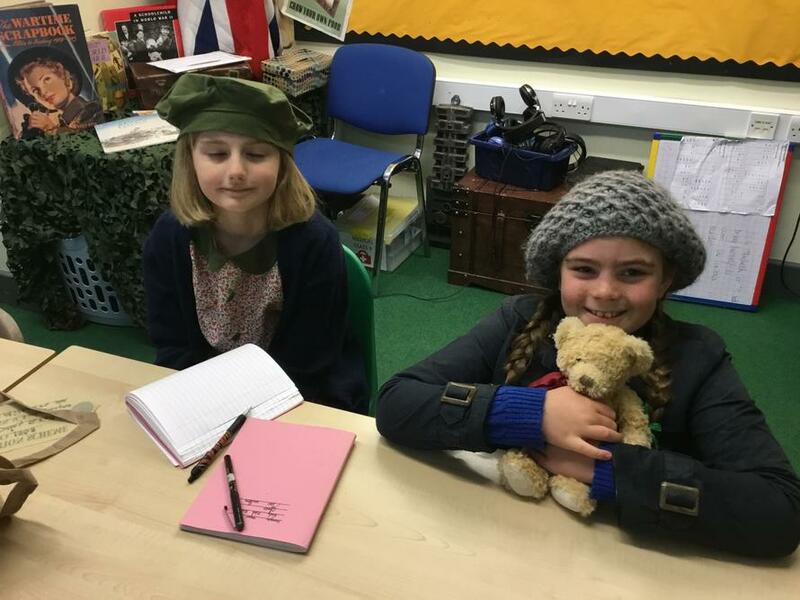 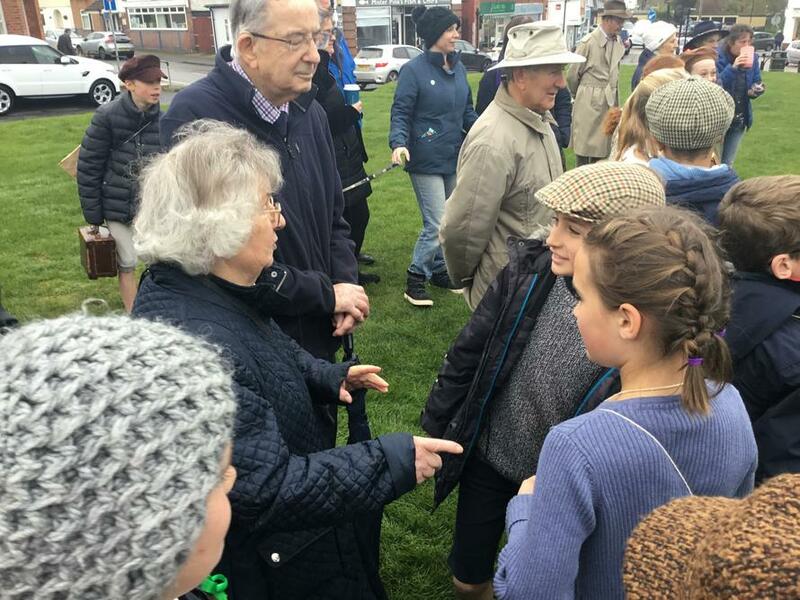 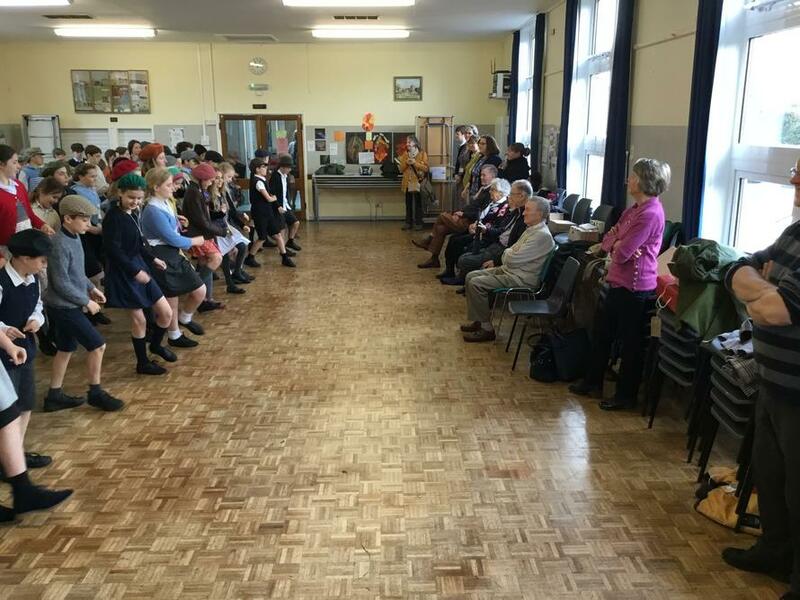 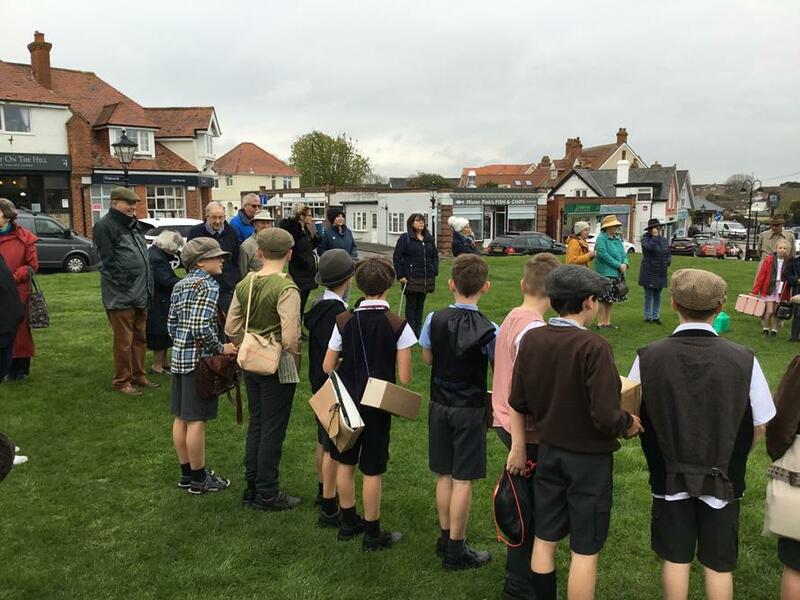 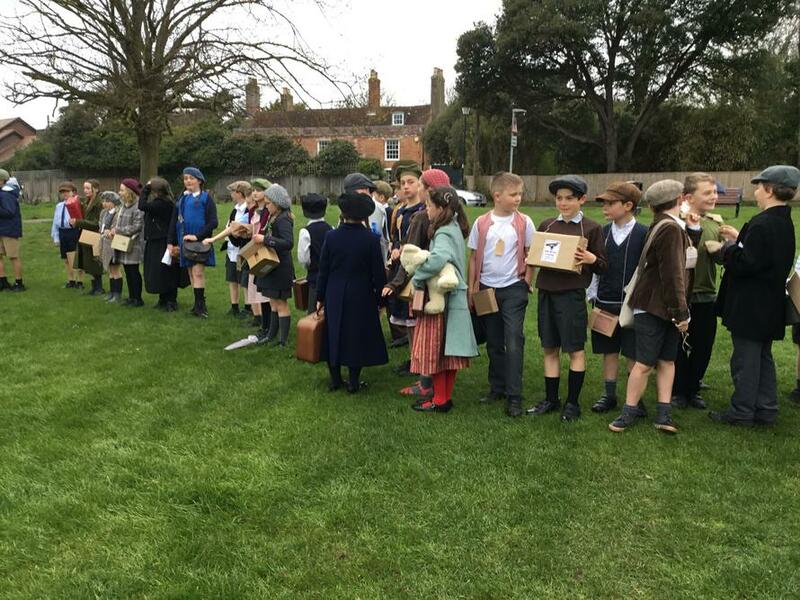 On Tuesday 2nd April, Year 5/6 transformed themselves into World War Two evacuees to experience what it would have been like to have been evacuated during the war. 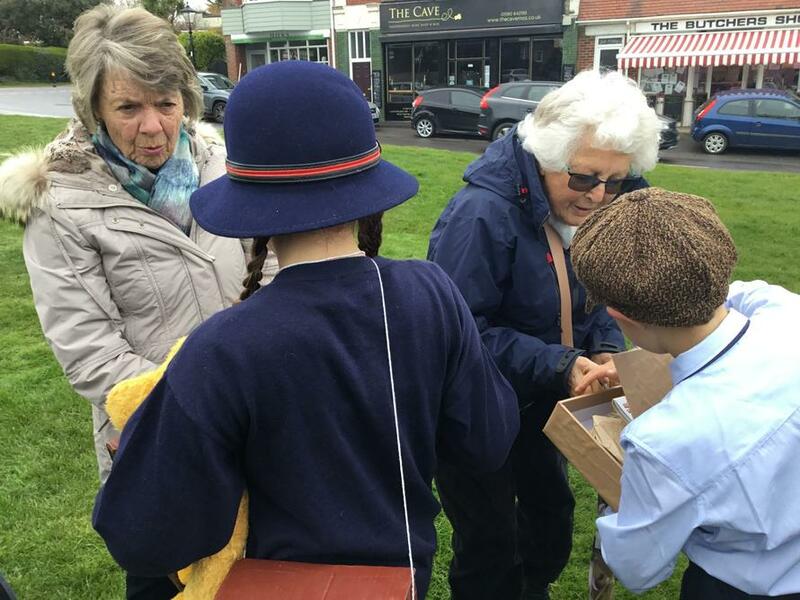 They each brought in 5 items that they would have packed into their suitcase if they were to have been evacuated. 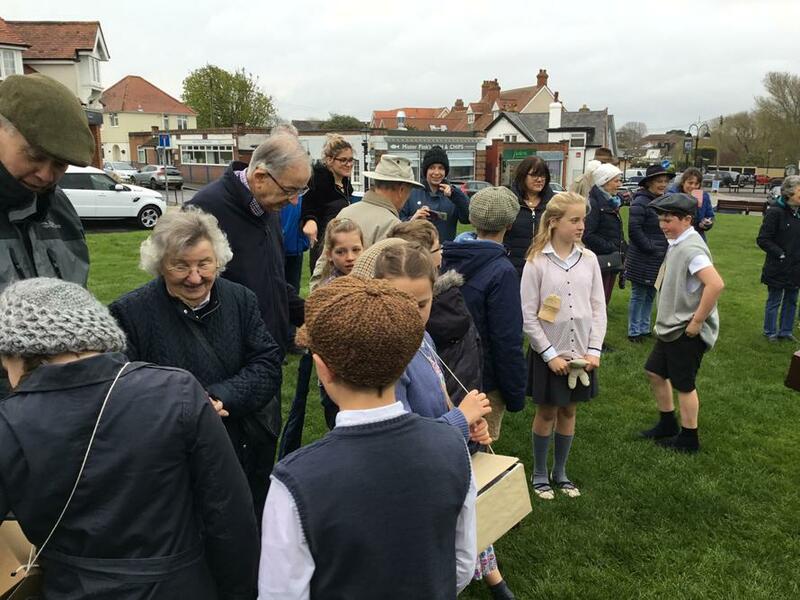 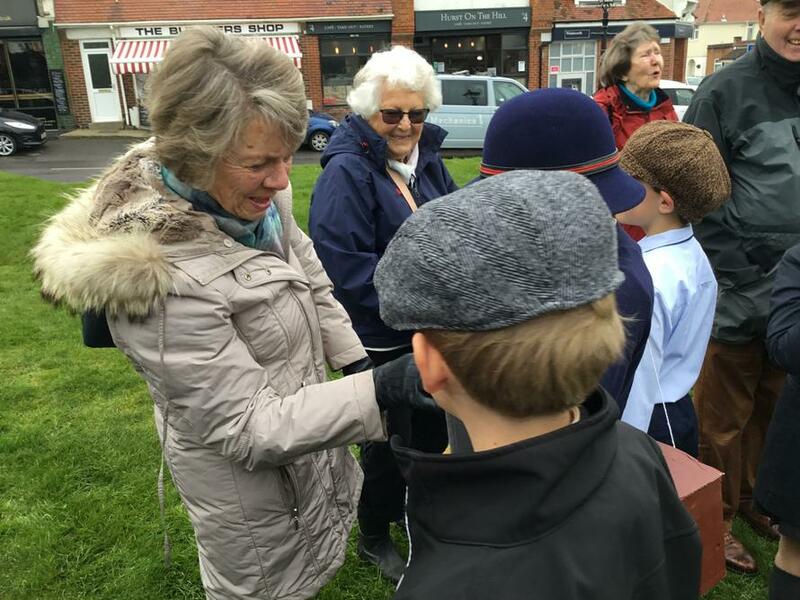 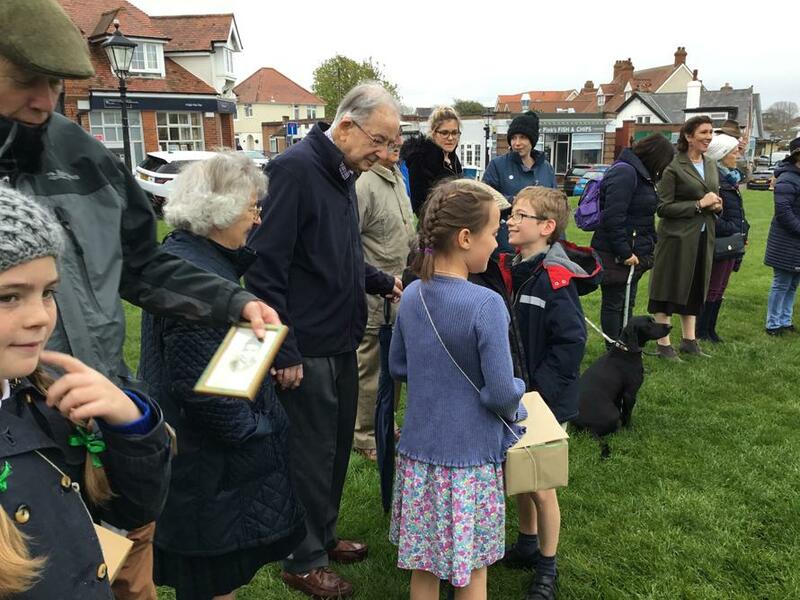 The children were 'evacuated' down to the Village Green, where they met their potential 'host families' and got to meet village residents. 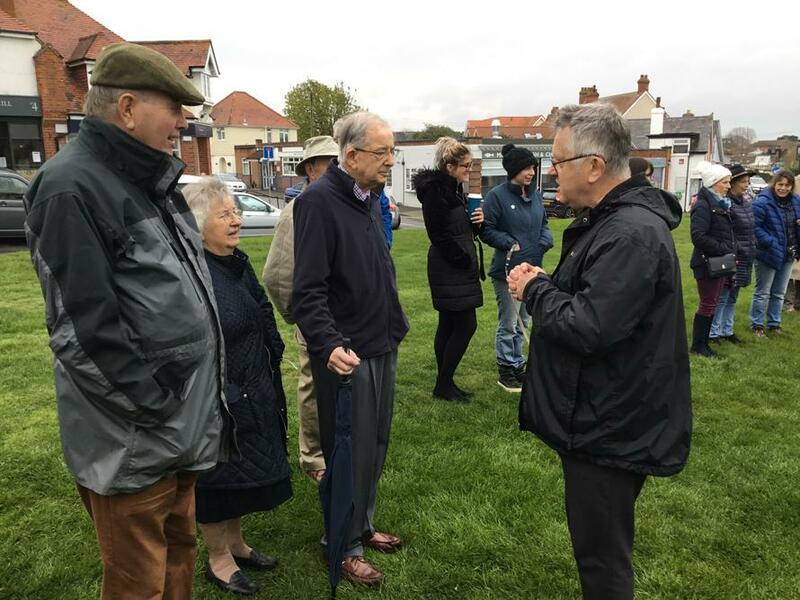 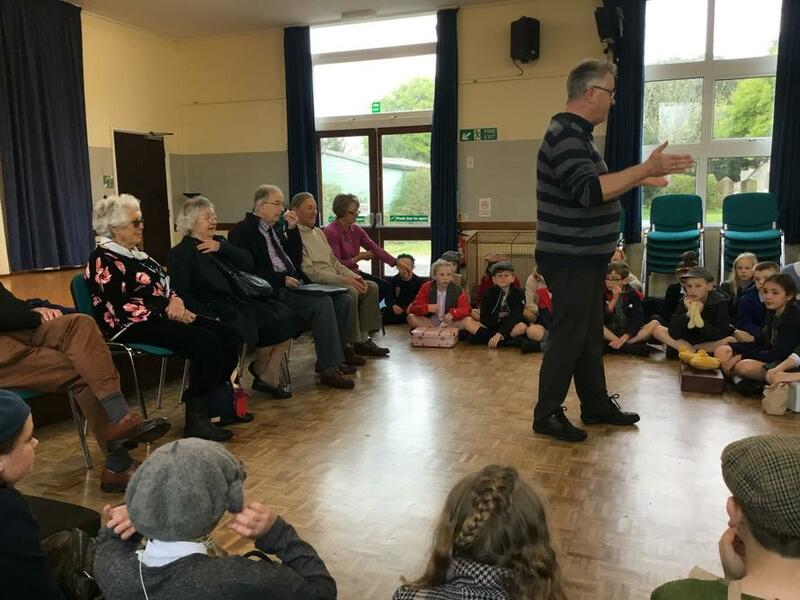 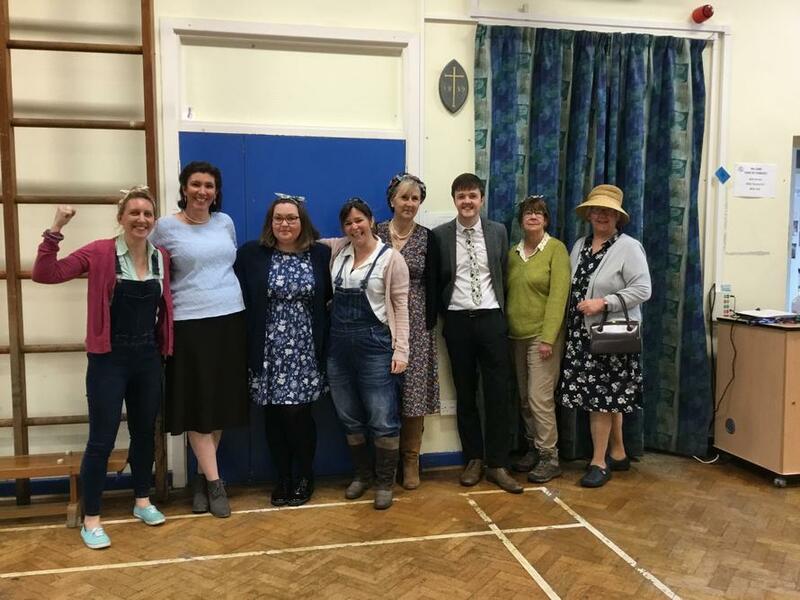 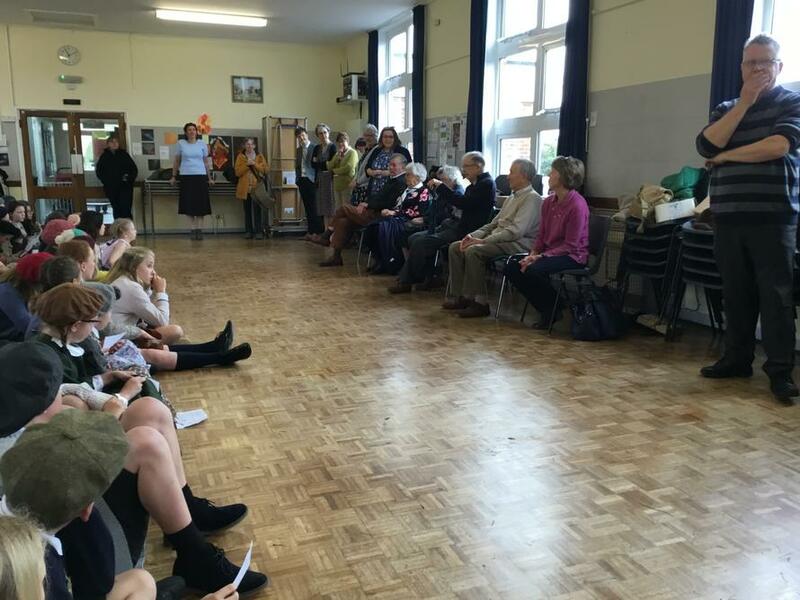 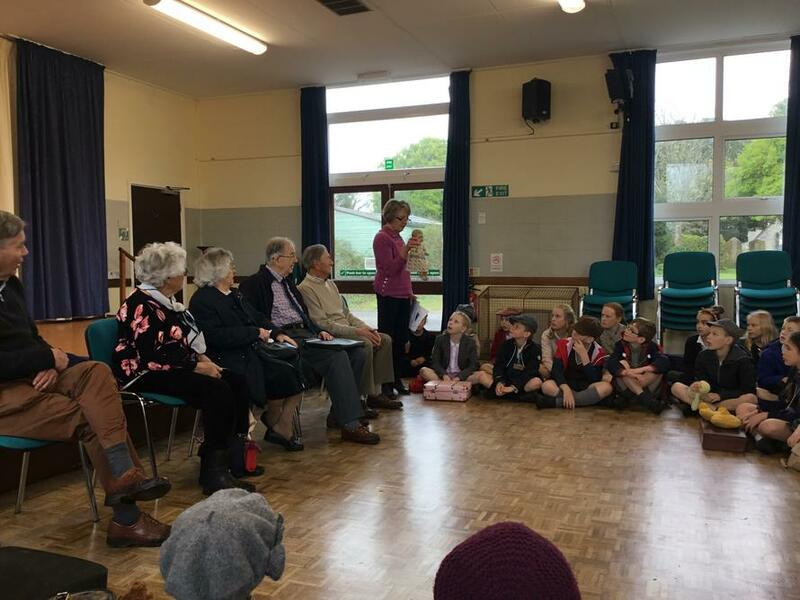 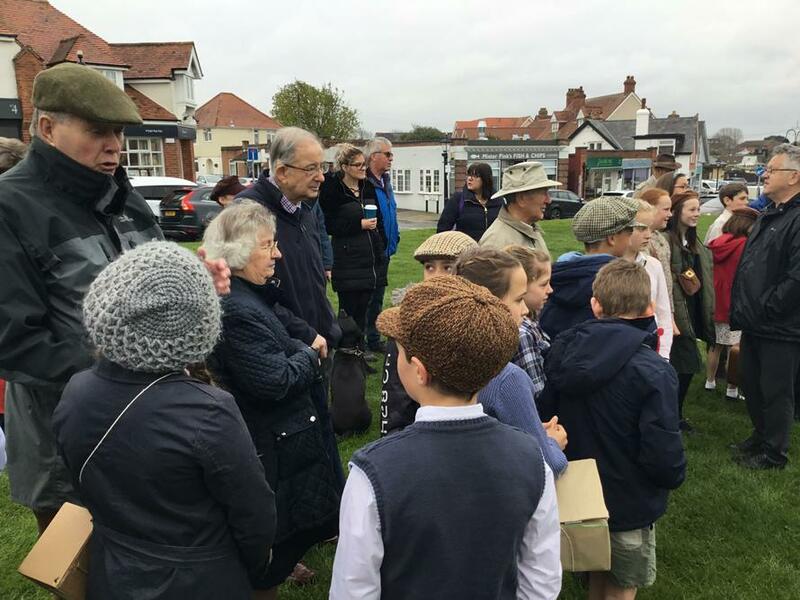 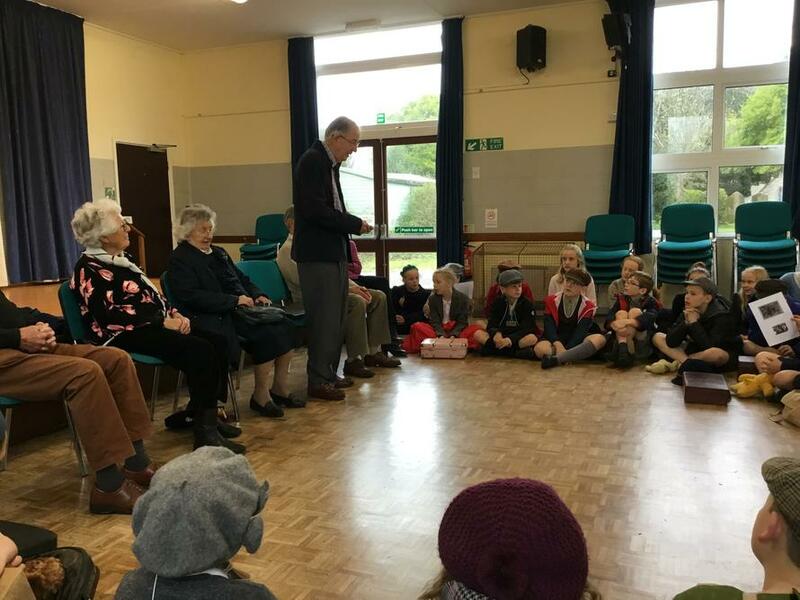 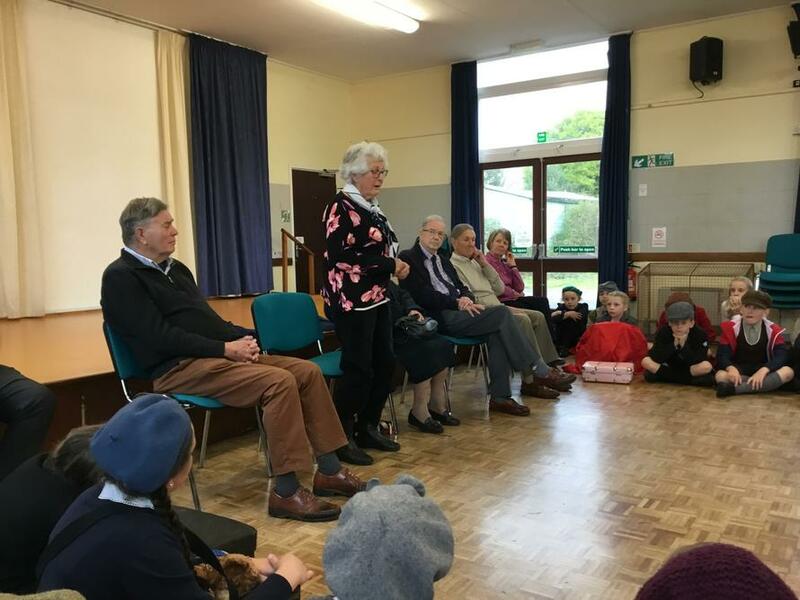 Then they continued their journey to the Church hall, where 5 local residents told the children all about their experience of World War Two. 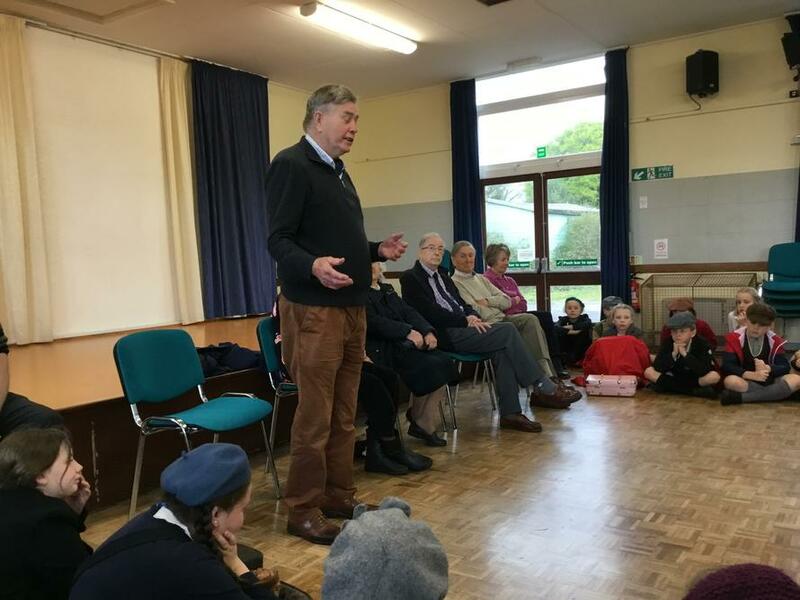 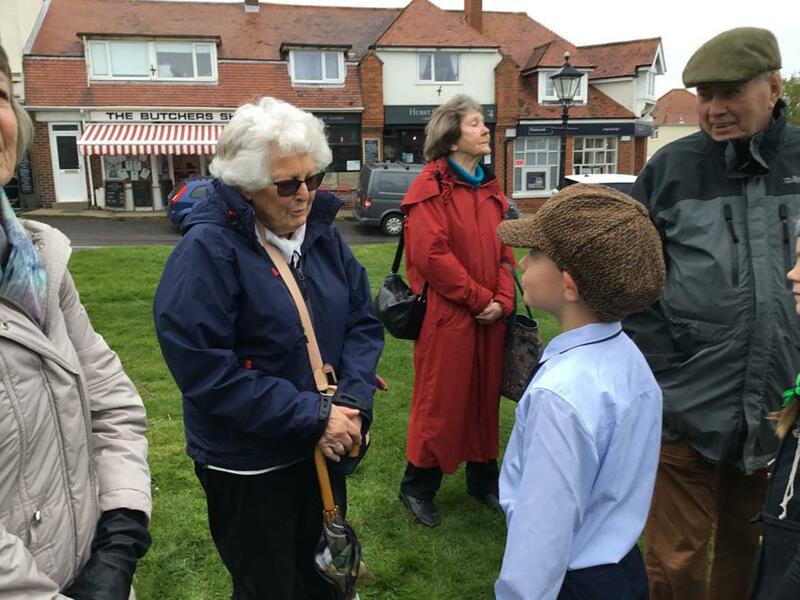 The children loved listening to the stories and it was fascinating to find out that many of the wartime experiences for these people were actually very positive. 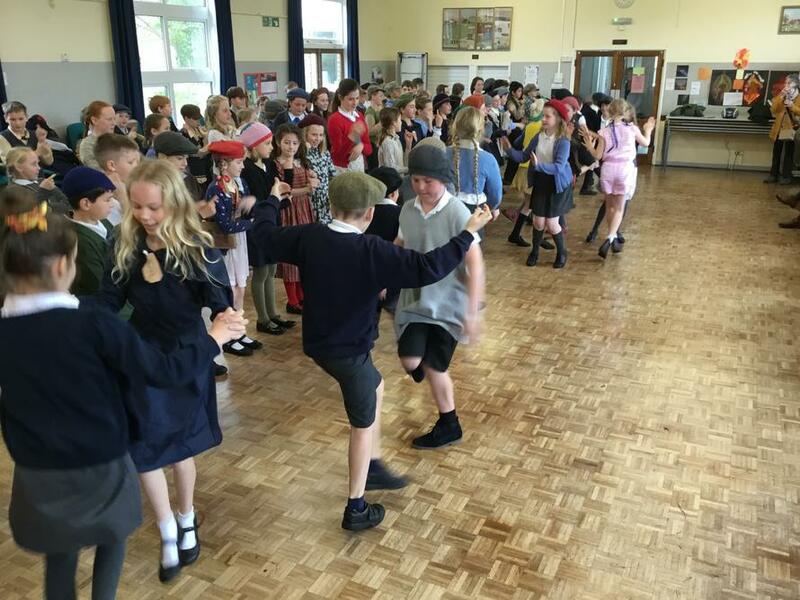 To end the morning, the children performed two songs from the 1940's and a dance that they have been learning in PE this term. 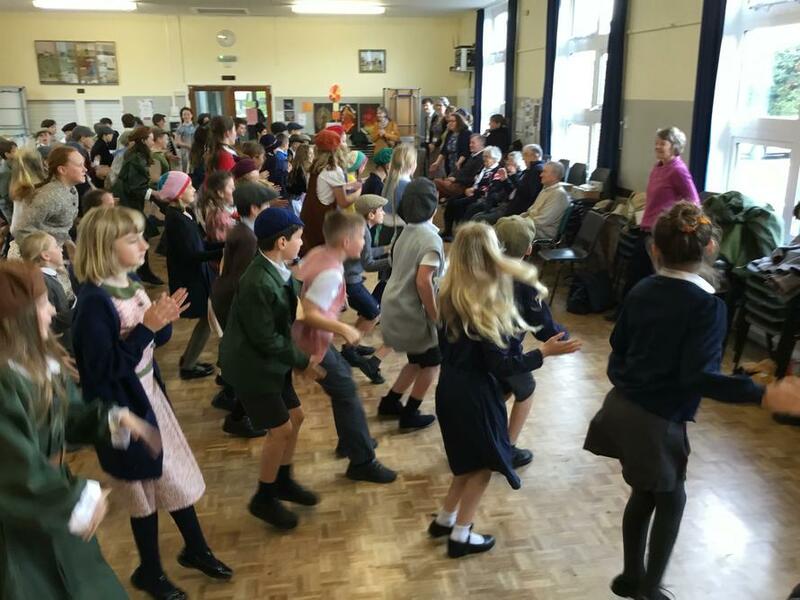 Have a look on the video section of the website for videos of the songs and dance.